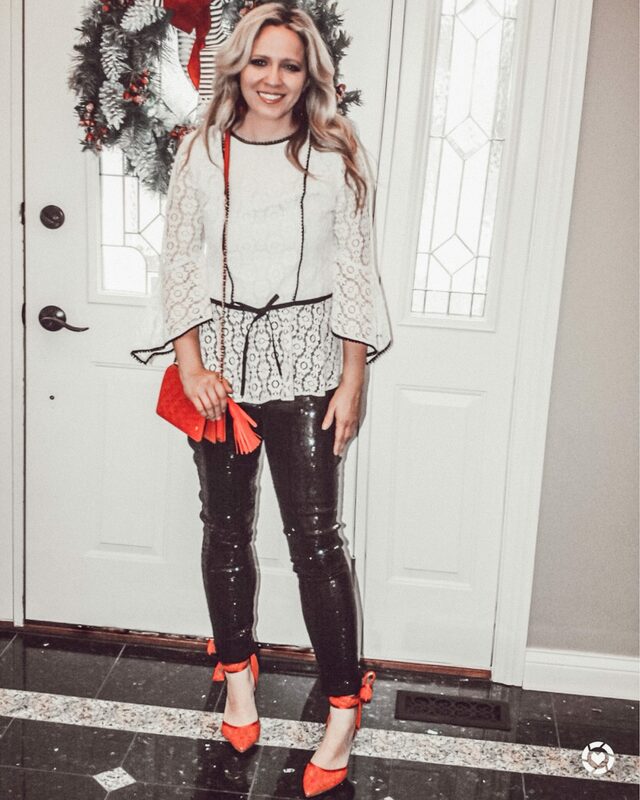 I have been on the hunt for the perfect sequin black pants and took a chance on these ones. They are a little more high waisted and the perfect length. These shoes are sold out in red, but the black are still available and I have linked a bunch of other pretty options on the liketoknow.it app as well. 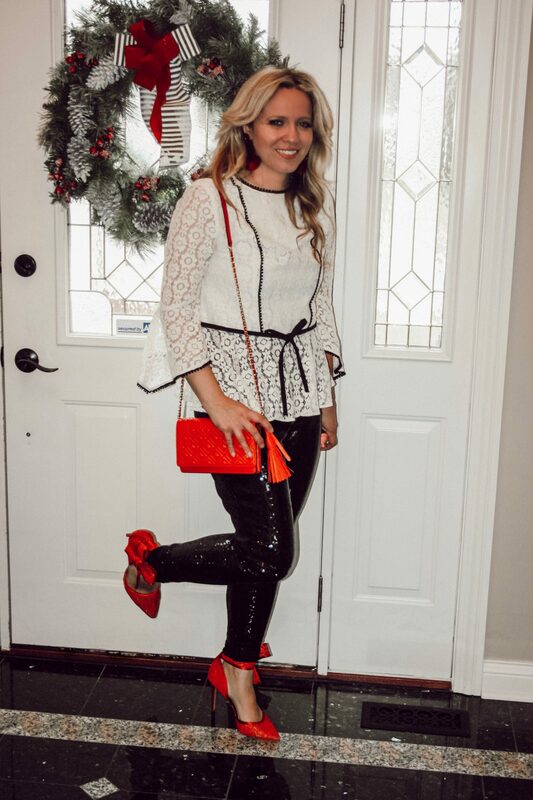 What are you wearing to holiday parties this year? Do you go more casual or fancy? 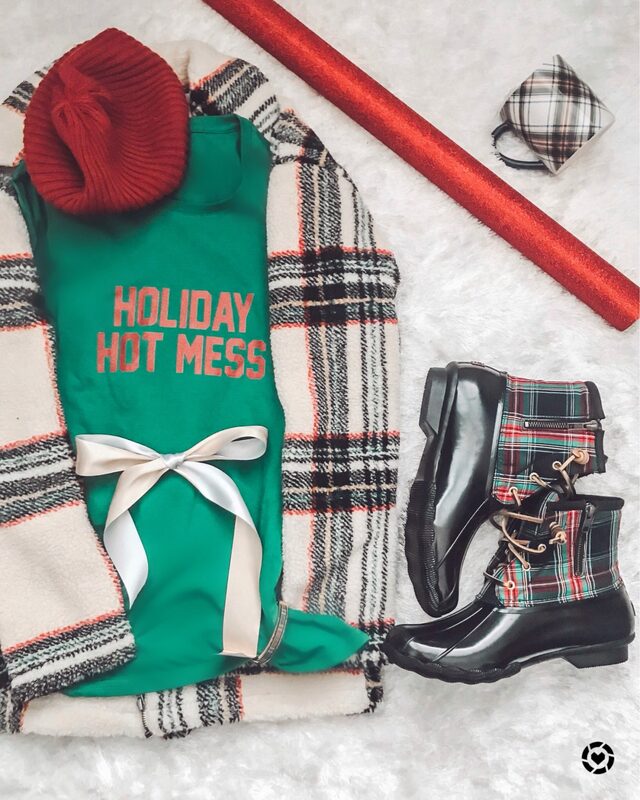 Anybody else feel like a hot mess right now? I can’t believe Christmas is next week! My decor isn’t completely up, I haven’t mailed a single card, and my shopping is still not done. Between school/Church obligations, volunteering, birthdays, and present buying the stress and anxiety have taken over. Not to mention an overactive toddler that doesn’t sleep and my daughter’s crazy extracurricular schedule. In past years people have called me a grinch because I just want to get through this time of year. The craziness of the holidays can ruin the magic. With 7 days left, I’ve decided to do a few things to reduce anxiety and change my mindset before I end up like the mom in the movie ‘A Bad Mom’s Christmas’. In past years I used to decorate multiple areas of my home. I would bring out so knickknacks and baubles that my house would look like a winter wonderland. My house used to be pinterest worthy. This year is different. As I watched my son pull off a million ornaments from the tree and angels from the fireplace, I realized I didn’t have the energy to keep putting them back up. So, the bottom of our tree is bare and most of my decor stayed in storage. I’m ok with that. The minimal amount of decor to put away sounds amazing this year. Speaking of minimization, the thought of bringing a million more new toys and things into my house causes a bit of panic for me. Each year I make sure to go through and sort old and broken toys, or just items the kids have outgrown. It feels so much better to get a visit from Santa and family with presents when there is space for those toys. I also invested in a few toy organization pieces to force myself to tame the mess before adding to it. I like to find women’s shelters around the area to drop off gently used toys and baby items. This year I have no shame with giving gift cards. I mean, when I receive a gift I am so excited when it’s a gift card. I am super picky so I like to pick out my own stuff. Therefore, why should I feel bad about giving gift cards to someone else? I spend way too much time laboring over finding the perfect gift, but not this year. If they don’t have a gift by now, it’s going to be a lovely little gift card and I may create a little basket of goodies to accompany it. Maybe! The saying really is true that it is the thought that matters. If hitting the malls and stores causes high stress for you, then this is they way to go. Often times I find myself so consumed with the perfect wrapping paper or running to the next holiday event, that I’m just not stopping to spend enough time soaking up these moments with my young children. My daughter has an obsession with the Nutcracker these days and I tracked down the older animated version for her on eBay. When she asked me why I wasn’t watching it with her, I had to stop myself and wonder why aren’t I taking the time to enjoy this program with her? Yes, there are more gifts to buy (or gift cards – see above) or card to send, but these moments with her aren’t going to last forever. So yes, I sat down and watched it with her and my little guy. HI am so grateful that we have a slow weekend (minus a holiday work party for my husband but that’s later at night). We had to say no to a few things because we really need that time to spend time with my little ones to do one last minute trip to Santa, see some more Christmas lights, and bake a million cookies together. The holiday madness will always be there, but making joyful memories with my kids will go by way too fast. It’s December! Let the Holiday shopping begin. Unless you are one of those amazing people that already have your shopping done ( I inspire to be like you one day), and want to take a glance for yourself. 1. 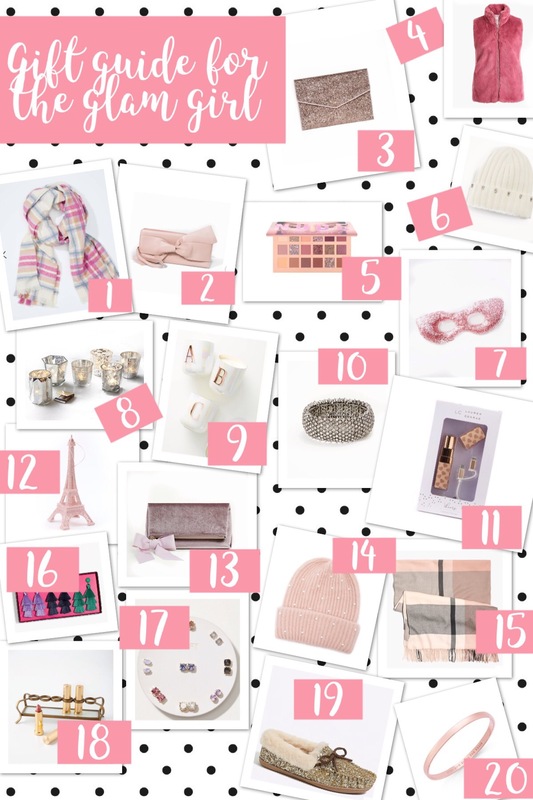 Pink Plaid Scarf : The perfect accessory in the Winter for a pop of color. Come January I am ready for the brighter colors again and I have been loving this poncho look lately. 2. Bow Clutch : This clutch would be the perfect accessory gift to go with a sweater or scarf for that glam girl you know. 3. Glitter Clutch : Or, this sparkly one that comes in the most perfect neutral pink color. 4. Pink Furry Vest : This pop of color would be the perfect gift with a plaid shirt under or just by itself. I have many cousins in their teens and I already purchased one for them. 5. Sparkly Makeup Palette : There is no better time to wear sparkly makeup than the holiday. Except if you’re me and wear it all the time lol There are enough neutrals too for the every day. 6. 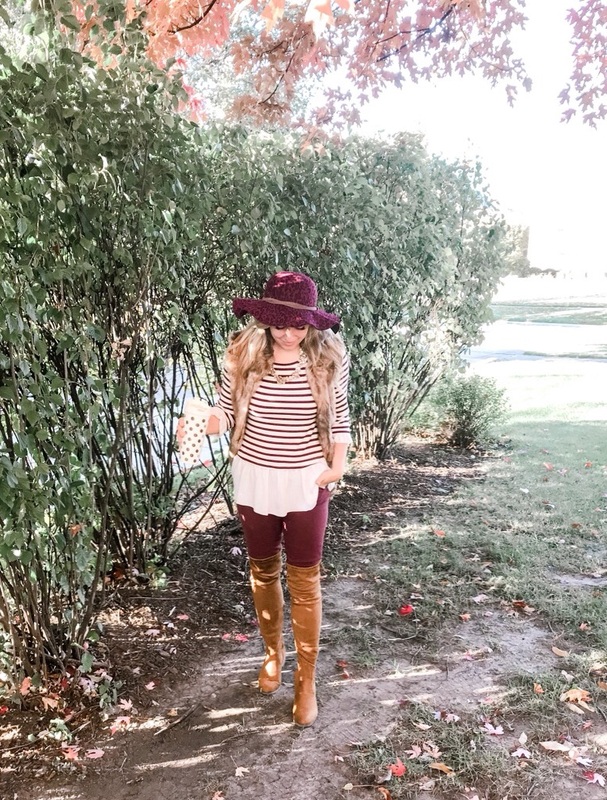 Embellished Beanie : I preach to my kids about wearing hats in the winter so even I started making sure to wear one in the freezing cold months. So why not give a pretty hat to someone to make it through the freezing months ahead. 7. Glitter Eye Mask : For the stressed out friend that needs a little laugh with some sparkle. 8. Mercury Tealight Set: I love how this set is more neutral but a little pizazz for the perfect gift. 9. Monogram Candles : A pretty candle with a friend or family member’s initial is such a cute personalized gift. 11. Lipstick Portable Phone Charger: I don’t know about you, but my phone is ALWAYS running low on battery. So, until I decide to upgrade phones, this adorable charger is the cutest accessory in my purse. The perfect little functional gift for any gal. 12. Eiffel Tower Ornament : Ornaments are such a cute little accessory to add to a package and this sparkly one is so adorable for pink tree. 13. Velvet Clutch : Velvet is such a holiday texture and this one with the bow is perfection. 14. 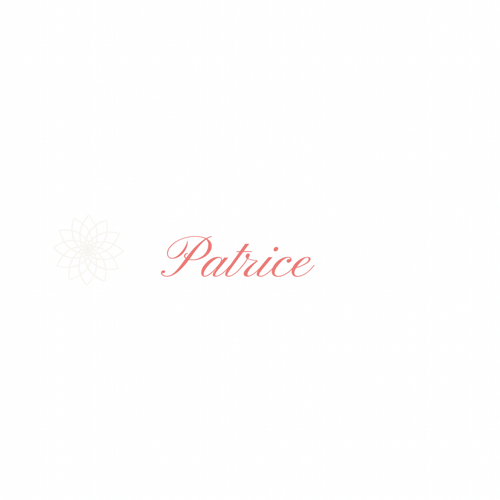 Pearl Beanie : I love the price of this one and I am always looking for hats in the winter. A fun gift for anyone. 15. Plaid Scarf Poncho : I bought this in the neutral color and I love the pink for next year around Valentine’s day. Also, to cover up all the food consumption from the holidays. 16. Tassel Earring Set : I love this fun set of earrings to jazz up an outfit. 17. Stud Earring Set : Sometimes you need a little sparkle for the every day and this ‘dazzle’ set is so fun with the variety of different colors. 18. Lipstick Holder : This is on my wish list for next year when I really start to take my organizing to the next level. Since having kids I haven’t had much time to get my makeup and accessories in order and it’s making me crazy! 20. Pink Bracelet : This affordable pink bracelet would be adorable to add to anyone collection of bangles. And what girl doesn’t need a little Kate Spade in her life. 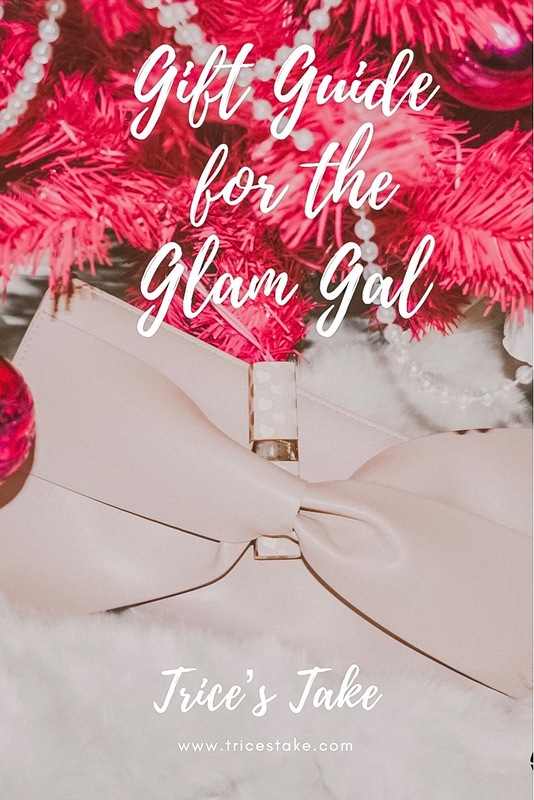 Hope this gave you some Christmas ideas and inspiration for the glam girl you know, or perhaps your sparkly self. Happy Monday! Hope everyone is recovering from that extra hour we gained yesterday. It felt like the longest day ever for us. I think I spent that day decluttering the kid’s bedrooms. Not exactly the most fun, but it needed to be done. Both my kids have been sick for what seems like 3 weeks so it was a day of washing sheets. Fun times 😉 Which is why I have been using Amazon like crazy lately. I don’t know how we all survived without Amazon. I love being able to check out the clothes while buying humidifier filters and a new nose frida. And lately I have gotten a lot of questions about these boots and people were surprised to hear they were from AMAZON. In fact, they were only $36! I bought them in the cognac and olive green colors. I have a hard time finding boots to fit over my calves. Perhaps it was the years of playing tennis. When I find a good pair, I need to share because the struggle is real. A lot of retailers don’t sell wide calf boots. I often have luck with soft material boots that aren’t as structured such as these. 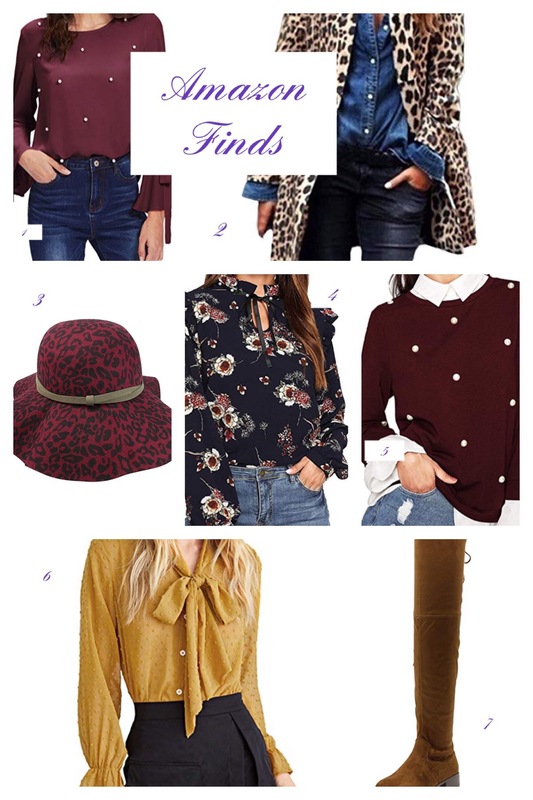 The following items are adorable and I own a few of them, but be on the look out for a try-on session soon because the rest are in my checkout basket. We are back from Disney World and already planning our next trip! I know. I know. We just got back. My husband and I both love Disney, and always try to plan a trip each year. This year we didn’t take our little guy because we couldn’t conquer sleep training at home and we it would not be any easier in a hotel. This makes me want to plan a trip for him so much sooner. We first took my daughter when she was three and that trip did not go so well. Since then, we’ve taken her three more times and acquired some ‘lessons’ and tips along the way. I can’t stress enough to bring the stroller….a good stroller! 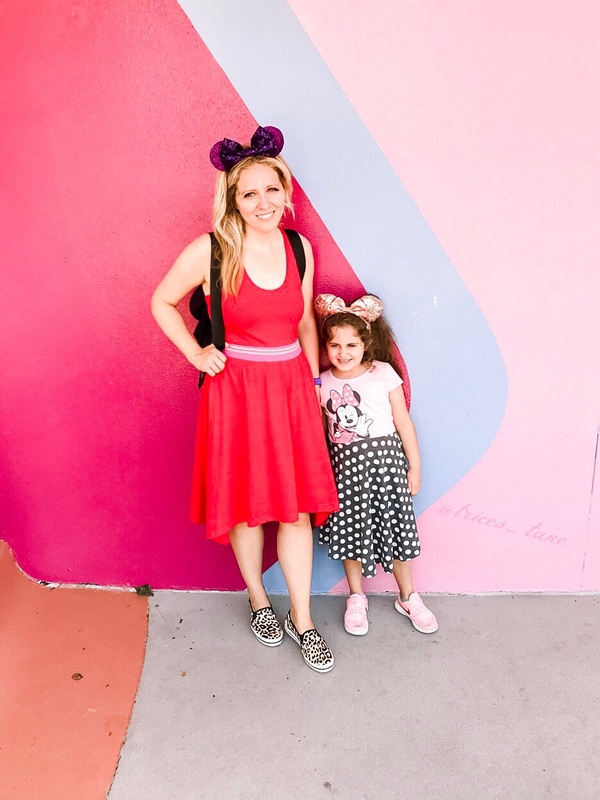 I was so nervous to fit an umbrella stroller through the airport and on the plane, that the first time we went to Disney I packed a really cheap umbrella stroller without a top. Big mistake. It was so hot and my daughter had no shade which made walking through the parks really hard. Plus, it rains in Florida a lot so a canopy helps keep some of the rain off your child in those downfalls. 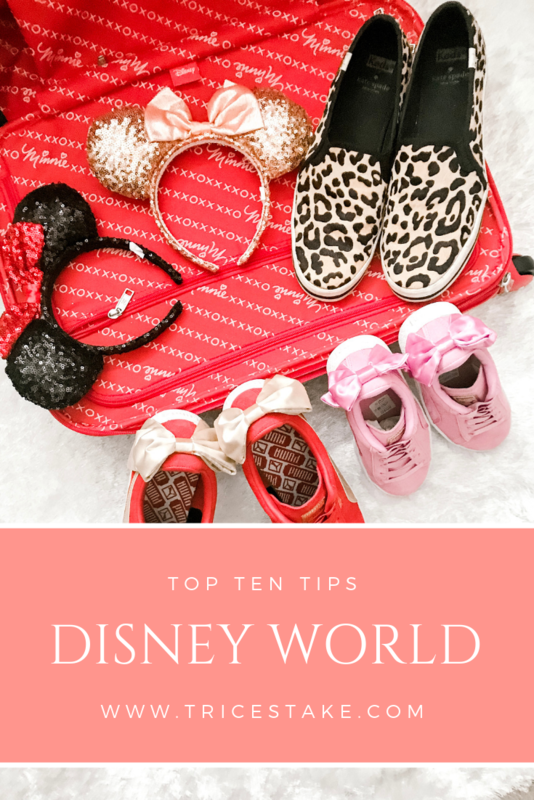 Check a stroller, invest in a lightweight one, or just rent one when you get to Disney…. Whatever you do, get a stroller. I can’t tell you how many times my 6 year old sat in the stroller this year so we could get more time in at the park without her complaining about being tired. Speaking of rain in Florida, it rains a lot. However, not for long periods of time. Just enough to soak you and make the rest of your time at the parks uncomfortable. Go to the dollar store, or Target, or wherever you grocery shop and find some cheap ponchos. The ones where if you shove them back in the bottom of your stroller, or throw them out you won’t be upset. The forecast showed no rain while I was packing for our trip. I threw the ponchos in the suitcases just in case. Then, when I got to Disney, I threw the ponchos in my purse before we went to the parks. The last day it down poured and we slipped them on. I heard so many other people saying they wish they would have brought their ponchos. We kept walking to rides while other people were huddled under roofs and restaurants from the rain. If I had known about this place our first trip when I was potty training my daughter our trip would have been so much more enjoyable. The child care centers are tucked away and quiet for those hard potty training moments. 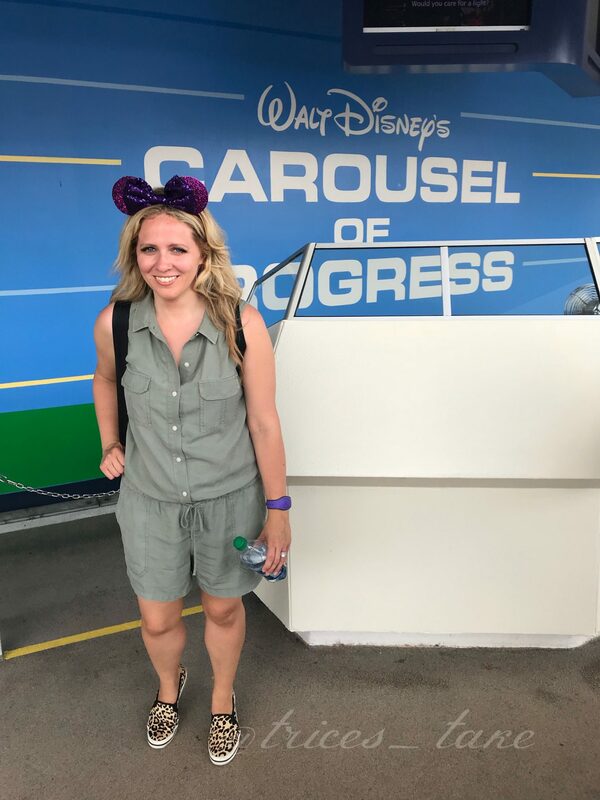 I carried a little potty chair around Disney! Next time I bring my son I will be changing him in these spots away from the crowd. I still brought my 6 year old in because at Magic Kingdom and Hollywood studio locations the toilets don’t flush automatically and are air conditioned. They have everything you need for your little one. If your child struggles with overstimulation, or you just need a minute from the heat take a break in the child care center. These cool little breaks can extend your day at the park so much. They are looked at the entrance of Hollywood Studios, by the Crystal Palace in the Magic Kingdom, by the Odyssesy Center in Epcot, and left of the Tree of Life in Animal Kingdom. I love looking at the shops at Disney. However, I don’t love looking at the shops with my 6 year old that wants everything. Prior to our trip I bought a few less expensive Minnie ears during one of the Disney Store’s sales and also at Claires. 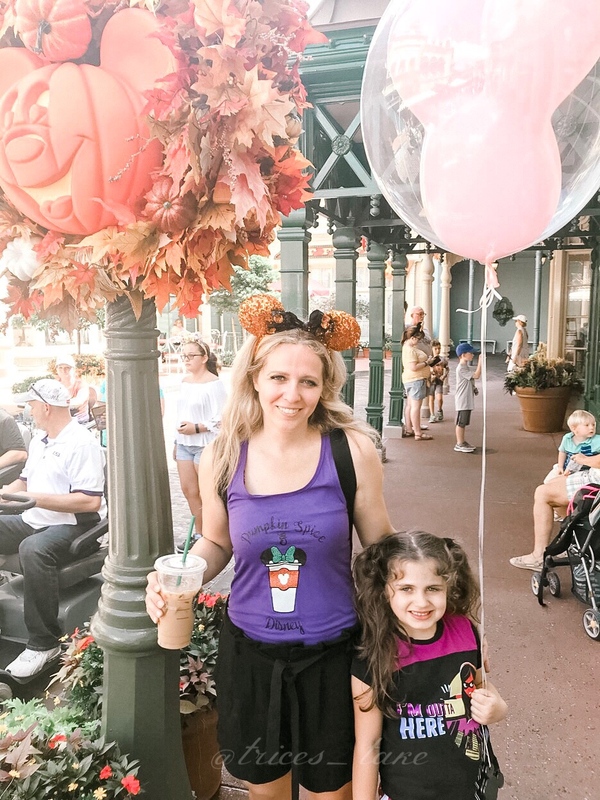 I also bought a few t-shirts and other Disney themed items through Etsy so we were fully decked out in Disney outfits and didn’t need to buy any Disney apparel while at the park. However, I do like buying my daughter a few trinkets to remember our trip. For her birthday this year Disney cards were an awesome gift for our upcoming vacation. It made going into the shops a little less stressful when I could tell her to pick out what she wanted with her money. She was excited to get a belated birthday gift and I was not upset spending excess money on an already very expensive trip. I learned this lesson the hard way. On our first trip my only pair of comfy shoes were soaked the first day. I can’t tell you how uncomfortable it is to walk around in wet shoes. Ugh. Always bring two pairs of good walking shoes for each member of your family. 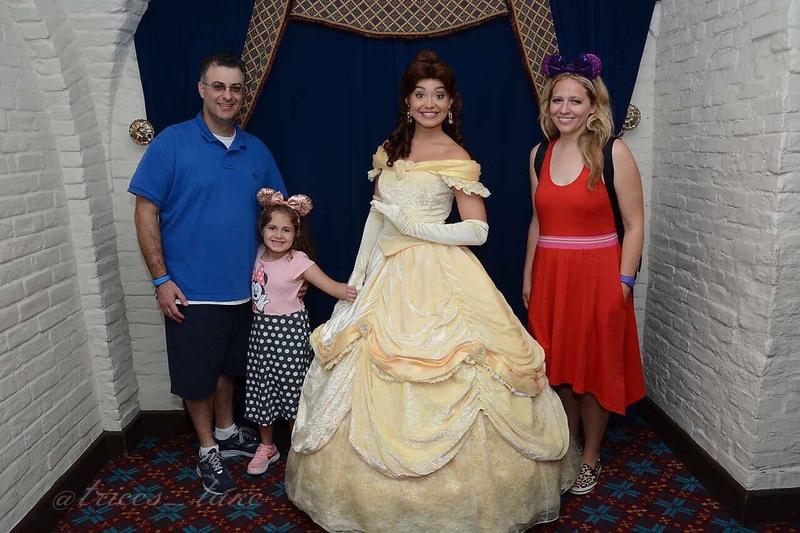 There are fast passes to meet the princesses throughout the Magic Kingdom, but then your fast passes are used for those experiences and not rides. We had a princess fanatic a few years ago so I get why this might be appealing with younger children. However, this year we wanted to use the fast passes soley for some of the harder to get on rides. That’s why I always try to schedule one princess themed meal so that we can get the autographs/photos with more princesses in one spot. The Akershaus Royal Them Hall in Epcot is our favorite, but Cinderella’s royal table in the Magic Kingdom has a lot of the princesses too. The princesses come to your table and your daughter can meet each one individually instead of waiting in lines. 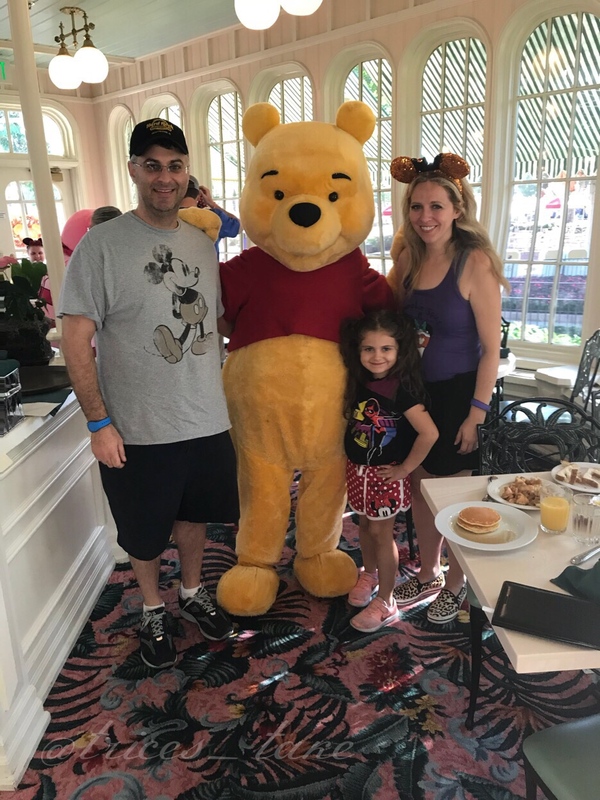 This year my daughter wasn’t as princess-loving as past years (insert sad face) and we ate at the Crystal Palace buffet that is Winnie the Pooh themed (per my husband’s request) and it was so good. I highly recommend that one as well! We walked a ton the first day of our trip. This mom was not used to all the heat and walking and just needed a minute to put my feet up. Then, I realized we were in Tomorrowland by MY favorite ride…the Carousel of Progress. I love this ride. There are never lines or a wait and you can sit for 15 minutes. It’s a little easier to take a break in one of the slower pace rides than walking all the way back to the hotel for a breather. We are really bad about returning to a park once at the hotel. I know there are people that like to go back and forth, but for us once we are at the hotel we aren’t returning to the park that day. Speaking of returning to the park, a lot of people utilize the extra magic hours for later nights or early mornings at the park. We did this the first year and all I can say is that the park with the extra hours is way more crowded. Huge crowds are not really my thing so I stay clear of the park with the extra magic hours when I schedule our fast passes for the day.